Hello All the trip start date will be August 29 with 11 night in hotel rooms. We will be returning on Sept 9. Candy and I hope you will be able to attend!!! 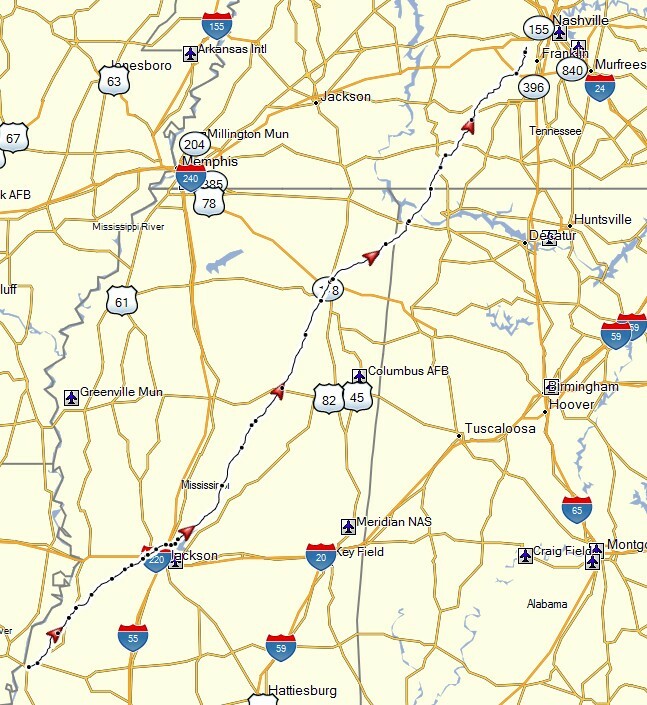 The Natchez Trace Parkway leads you 444 miles through three states and 10,000 years of North American history. Established as a unit of the National Park System in 1938 and officially completed in 2005, the Parkway commemorates the most significant highway of the Old Southwest. 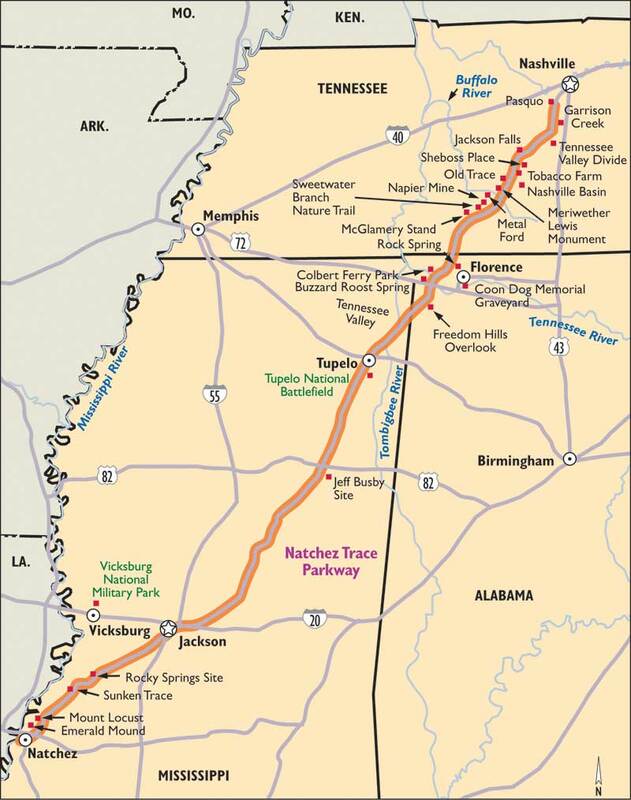 The natural travel corridor that became the Natchez Trace dates back many centuries. It bisected the traditional homelands of the Natchez, Chickasaw, and Choctaw nations. As the United States expanded westward in the late 1700s and early 1800s, growing numbers of travelers tramped the rough trail into a clearly marked path. The ”sunken” sections you can walk along today are clear signs of historic use. In 1801 President Thomas Jefferson designated the Trace a national postal road for the delivery of mail between Nashville and Natchez. Gen. Andrew Jackson, Jefferson Davis, James Audubon, Meriwether Lewis (who died on the Trace in 1809), and Ulysses S. Grant are among the famous Americans to have traveled the Natchez Trace. Most travelers were anonymous working folks. In the early 1800s through the mid-1820s, “Kaintucks” from the Ohio River Valley floated cash crops, livestock, and other materials down the Mississippi River on wooden flatboats. At Natchez or New Orleans, they sold their goods, sold their boats for lumber, and walked or rode horseback toward home via the Old Trace. As the road was improved, stands (inns) provided lodging, food, and drink to Trace travelers. 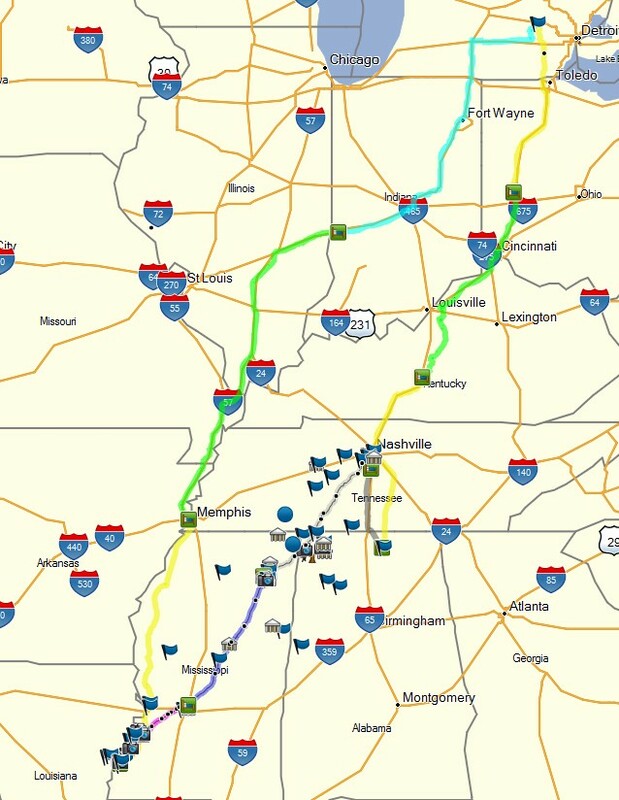 Today the Natchez Trace provides a near-continuous greenway from the southern Appalachian foothills of Tennessee to the bluffs of the lower Mississippi River. Along the way are sites like Emerald Mound, a national historic landmark and one of the largest American Indian mounds in the United States; and Mount Locust, one of only two surviving stands. The Natchez Trace also crosses four ecosystems and eight major watersheds, and provides habitat for nearly 1,500 species of plants, 33 mammal species, 134 bird species, and 70 species of reptiles and amphibians. Also designated as a National Scenic Byway and All-American Road, the parkway encourages modern travelers to experience historic and scenic landscapes at a leisurely pace.